Luxury brand Gucci has apologised and took down a black polo neck sweater from its online and physical stores, after it caused an outrage online on its racial profiling of the “blackface” imagery. Netizens were pointing out the similarity of the neck sweater to a racially offensive golliwog. Golliwogs are grotesque creatures, with very dark, often jet black skin, large white-rimmed eyes, red or white clown lips, and wild, frizzy hair. The golliwog was a story book character created in 1895, that have caused a debate amongst many if it is an icon or a racist symbol. 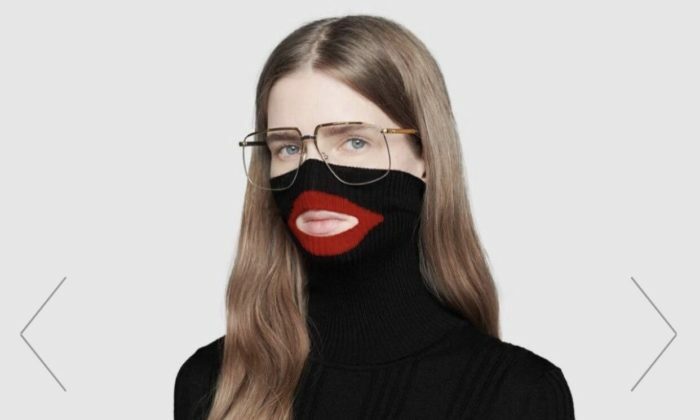 In a statement on its official Twitter account, Gucci said it apologises for the offense caused by the wool balaclava jumper and that it considers diversity to be a fundamental value to be upheld, respected and at the forefront of its decisions. Gucci is not the first brand to receive a backlash for its clothing. Just this week, adidas was also in the spotlight for its line of clothing and sneakers inspired by the Harlem Renaissance movement, which was meant to commemorate Black History Month. The sports brand put out an exclusive Ultra Boost sneakers, named “Celebrating Black Culture”. Netizens were unhappy with the “all-white” sneakers, despite the brand’s intention to commemorate the Black History Month. According to media outlets, the sports brand removed the sneaker and apologised its intention did not reflect the brand’s beliefs. Several luxury brands have come under fire in recent times. The founders of Dolce & Gabbana (D&G), Domenico Dolce and Stefano Gabbana alos out out an apology for the online furore its racist ad and alleged comments about the Chinese caused. This led to e-commerce sites such as Tmall, JD.com, Vipshop and Yanxuan pulling D&G products off its sites. Hong Kong retail company Lane Crawford also dropped the luxury brand. Meanwhile, other global e-commerce platforms such as Yoox Net-a-Porter and Secoo delisted all D&G products on its Chinese websites. The new campaign targets seven markets in Southeast Asia. ..
YouTube unveils new music service: What will it take to beat out competition? At the end of the day, Google needs to balance its desire to generate new revenue streams through a paid "ad-free" service, while ..
Creative agency Briq has opened its latest office in Cambodia..